We have to have them. The wide range of don’ts from hereon and until a month after the May 13 polls are a product of past experiences. According to past and present election officials and watchdogs, our kind of election ban is a reflection of how far Filipinos are from political maturity. Automation, which was introduced in 2010, sped up the generation of results. It didn’t necessarily remove many of the threats to clean, honest, and fair elections. 1. Transfer, promotion, extension, recall or otherwise movement of officer or member of the foreign service corps from current post or position. 2. Alteration of territory of a precinct or establishment of a new precinct. 3. Transfer or movement of officers and employees in the civil service. 4. Bearing, carrying or transporting firearms or other deadly weapons, unless authorized in writing by the Commission. 5. Use of security personnel or bodyguards by candidates, unless authorized in writing by the Commission. 6. Organization or maintenance of reaction forces, strike forces o other similar forces. 7. Suspension of elective local officials. 8. Giving donations or gift in cash or in kind, etc. 9. Appointment or use of special policemen, confidential agents or the like. 10. Appointment or hiring of new employees; creation or filling up of new positions; promotion or giving of salary increases, remuneration or privilege. 11. Construction of public works, delivery of materials for public works and issuance of treasury warrants or similar devices for a future undertaking chargeable against public funds. 12. Release disbursement or expenditures of public funds. 13. Illegal release of prisoners. 16. Selling, furnishing, offering, buying serving or taking intoxicating liquor. 17. Giving, accepting free transportation, food, drinks and things of value. 19. Selling, furnishing, offering, buying serving or taking intoxicating liquor. 21. Voting more than once or in substitution of another. 22. Soliciting votes or undertaking any propaganda for or against any candidate or any political party within the polling place or within 30 meters thereof. 23. Opening of booths or stalls for the sale, etc., of merchandise, or refreshments within a radius of 30 meters from the polling place. 24. Holding of fairs, cockfights, boxing, horse races or any other similar sports. Ferdinand Rafanan, Comelec director for Region 8 (Eastern Visayas), says the “existing imbalance” in the political field during elections—tilted toward who is in power—necessitated the prohibitions. “It is the incumbent that wields power. The law wants to equalize the opportunity for other candidates,” he said. Rafanan knows what he’s talking about. 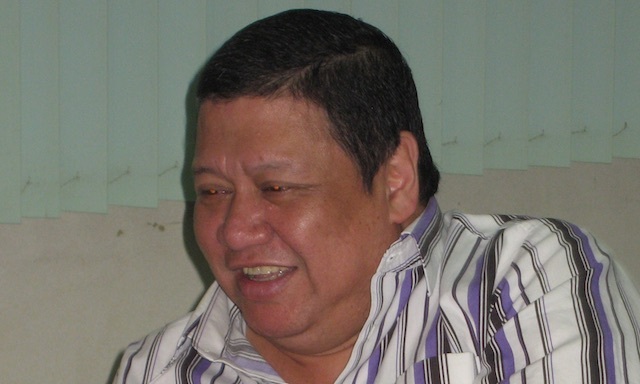 He got kicked out as Comelec’s National Capital Region director during the time of Chairman Benjamin Abalos when his efforts at reforms rankled some higher-ups. In the 2004 election season, Rafanan wanted to go after national and local candidates who were blatantly violating the rule on campaign postering, ignoring the areas designated by the poll body for posting printed campaign materials. Violating the rule on campaign posters carries a penalty of disqualification from public office, but candidates and their supporters were apparently not bothered. Rafanan collected evidence with the endview of filing charges against the candidates. 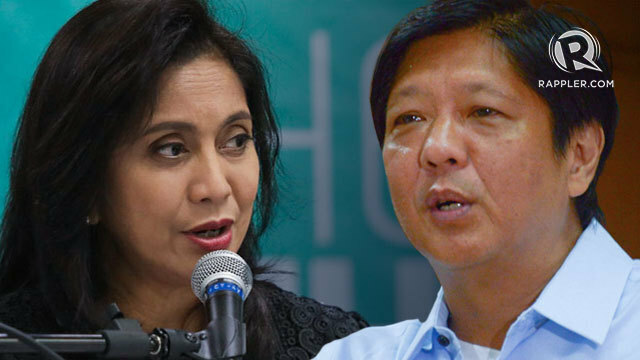 His dilemma: If all candidates were charged, found guilty, and disqualified, who would fill the elective posts? It was he who learned his lesson the bitter way. Because he ignored subtle messages of slowing down from the chairman, a former mayor of Mandaluyong, he was moved to Region 8. His campaign against illegal campaign posters in Metro Manila was forgotten. Rafanan wouldn’t be stopped, however, even in Eastern Visayas. Before the elections in May 2010, he deputized the local police to arrest anyone engaging in illegal campaigning on election day. Eight people were arrested carrying campaign paraphernalia at the polling precincts. The violators were sent to jail. Rafanan consoles himself that he tried to change the system and that the rules can be observed and implemented. “But it would be foolhardy to implement the law without the support of your superiors,” he said. And in Rafanan’s case, we’re only talking of two prohibitions that the Comelec seems helpless in enforcing. There are more to work on. The gun ban has started simultaneously with the election period on January 13. Other prohibitions are the ones on alteration or creation of new polling precincts; transfer or movement of officers and employees in the civil service; the use of security personnel or bodyguards by candidates; organization or maintenance of reaction forces, strike forces, and other similar forces; and the suspension of elective local officials. Additional prohibitions are mandated when the campaign period for national positions starts on February 12. Among these: giving donations or gift in cash or in kind; hiring of new employees or creation of new posts in government; public works construction; release of public funds. On election day, multiple voting, vote buying, sale of liquor, and the holding of cockfights, horse races, and other similar sports that may involve betting are not allowed. Essentially, all these prohibited acts are contained in the Omnibus Election Code and other election laws. Some of the election prohibitions are not expressly stated in Resolution 9385, like illegal posters, and overspending. Former Comelec commissioner Nicodemo Ferrer, who was a former Sandiganbayan justice, said some prohibitions—like the ones on the transfer of employees, the hiring of new employees, and release of public funds—were there to ensure a level playing field. “We want to prevent a possibility of government resources being used to the prejudice of one party. The incumbent always has an advantage,” he said. For instance, the incumbent has the advantage of reshuffling personnel—either as a form of favor to supporters or to punish employees who may be supportive of the rival candidate. To prop up his candidacy, the incumbent can curry support by creating new positions and adding them to the government payroll. The incumbent may also arbitrarily remove from certain posts those who are not on his side. “The ban on reshuffling personnel during the election period is to ensure security of tenure to the employees,” Ferrer said. As for banning of precinct alterations, this is to prevent the incumbent from disenfranchising voters in polling precincts considered as bailiwicks of his opponent. Exemptions from a few of these bans are allowed, as long as a compelling reason is proven. This is true with the gun ban, the transfer of employees, and the filling up of vacant posts. 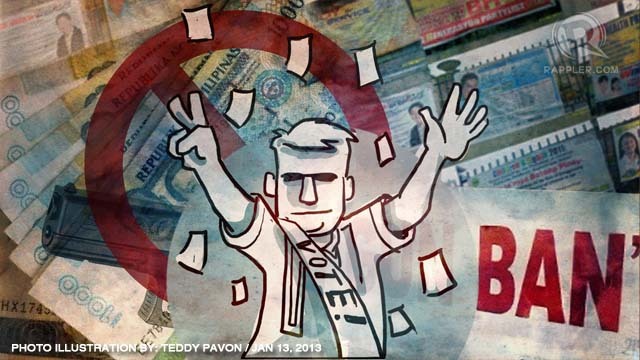 When it comes to patently illegal acts—like vote buying, multiple voting, and posting campaign materials in non-Comelec-designated common areas—there are obviously no exemptions. Yet government officials and politicians seem to even flaunt their mockery of the laws. The Philippines, however, is not lacking in countries on which to model its election ban implementtion. In Mongolia, for instance, Rafanan observed that candidates and their supporters strictly follow the law on illegal campaigning. He was there when the landlocked country held its legislative elections in 2008. The night before the elections, all campaign posters and paraphernalia were removed. At 6 a.m. on election day, Rafanan recalls, the only election-related signs that were up were the ones announcing the opening of precincts. “It was incredible,” he said. Namfrel’s Alvia noticed the same in Afghanistan, where he observed the elections. In Thailand, Alvia observed, the election body seriously implements election laws. “Those who violate are meted with penalty or sent to jail,” he said. The Philippines’ Comelec appears not to be as aggressive or firm. While it has had successes in apprehending gun ban violators with the help of law enforcement bodies, it has rarely hauled to court violators of other election bans. Rafanan agrees that documenting and pursuing election violation cases could swamp the Comelec—with the wanton violations being committed left and right, and with its limited resources and manpower—but efforts have to start somewhere. “The election officers take their cue from the top. If the higher-ups are not interested, why would they (subordinates) be in the first place?” Rafanan said. Checkpoints: When can police make arrests?